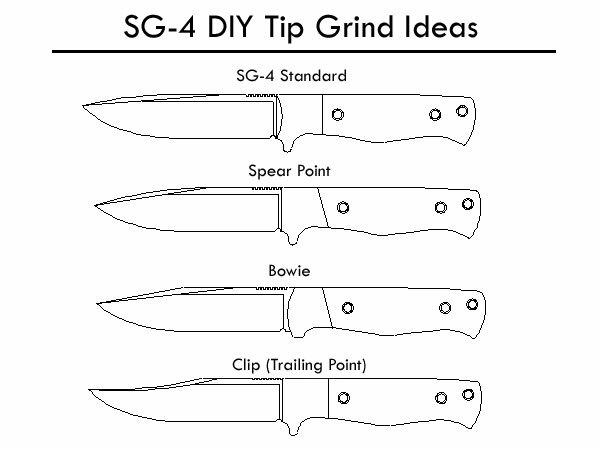 The Standard SG4 model is an excellent skinning tip right out of the box. 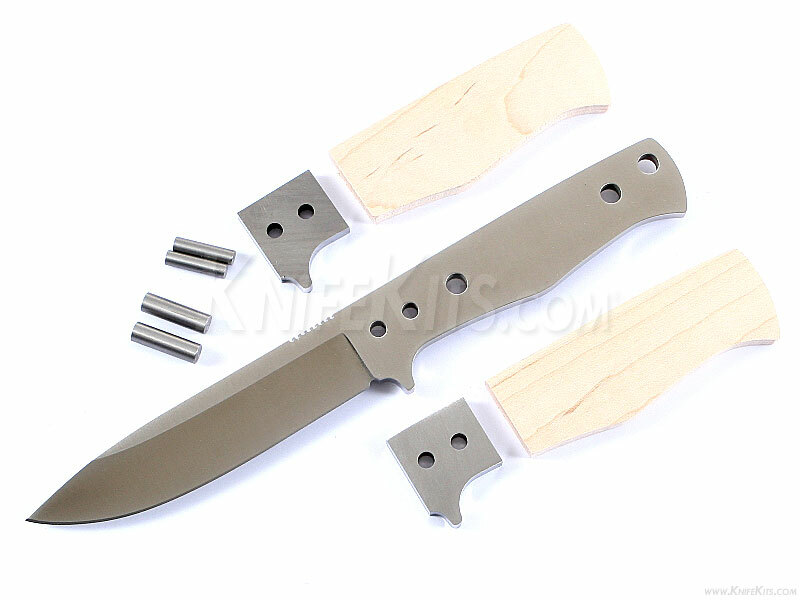 However, we've designed this model's blade grind to be used as-is, or for the kit builder to modify the final grind and/or tip to their own specification. The variability of this design, and the number of grind configurations (see below) that you can achieve make it perfect for the advanced builder. The grind lines on this design are very sharp and extremely crisp. With a 600 grit satin finish on the blade, the SG4 makes a great starting point for a superior quality finished piece. This version is the combo kit. 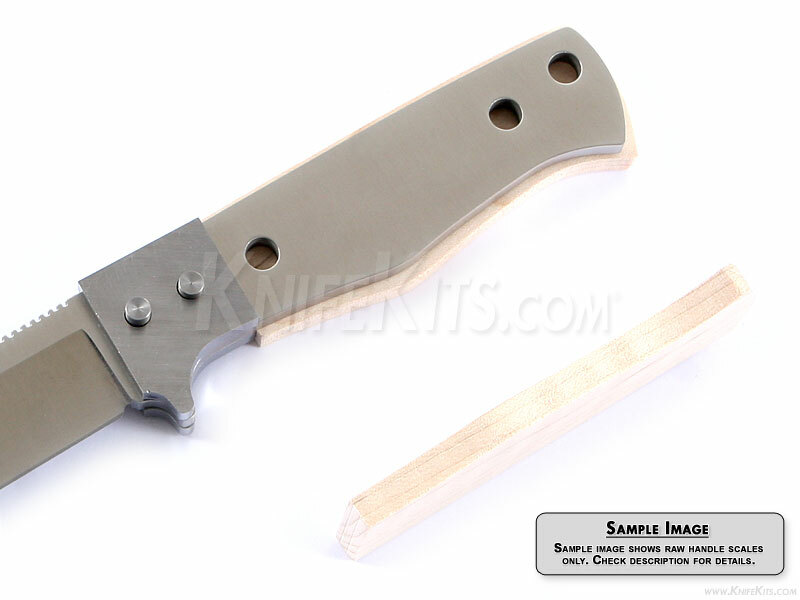 It comes with all of the basic SG4 kit parts, plus pre-machined Curly Maple handle scales to simplify the completion process. 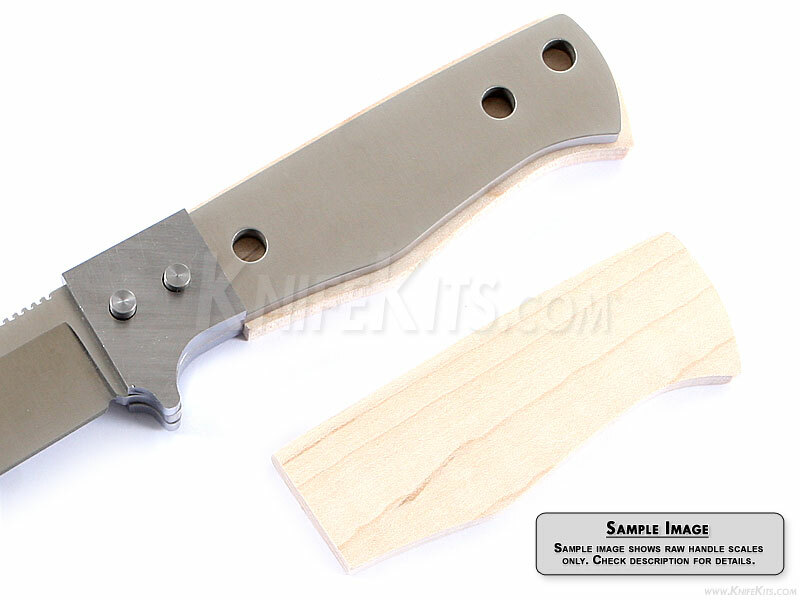 Add a touch of proper finishing and create a fabulous knife that you'll be proud to own and carry. Our pre-machined handle scales are slightly thicker and larger in diameter than the handle liners that they are designed for. This allows for proper sanding, shaping and artistic embellishment. These are also undrilled to allow for precise placement control and to maximize fastening options. If you do not have a scroll saw to use for creating the required handle shape, or you just want to begin from an easier starting point, the combo kit with pre-machined scales will help you insure that your kit completion will be smooth and successful.